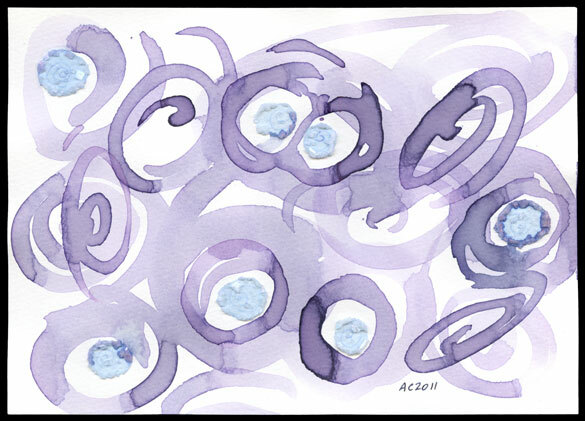 This fourth installment of my Hibiscus Blue series is even simpler than #2, with thin, sharp-edged indigo spirals swirling around the lighter blue salt circles. The cool, subdued colors let the lines themselves set the tone. The rhythm of this piece is quite playful, like raindrops in a puddle at the very start of a warm summer storm when only a dozen or so drops have hit. 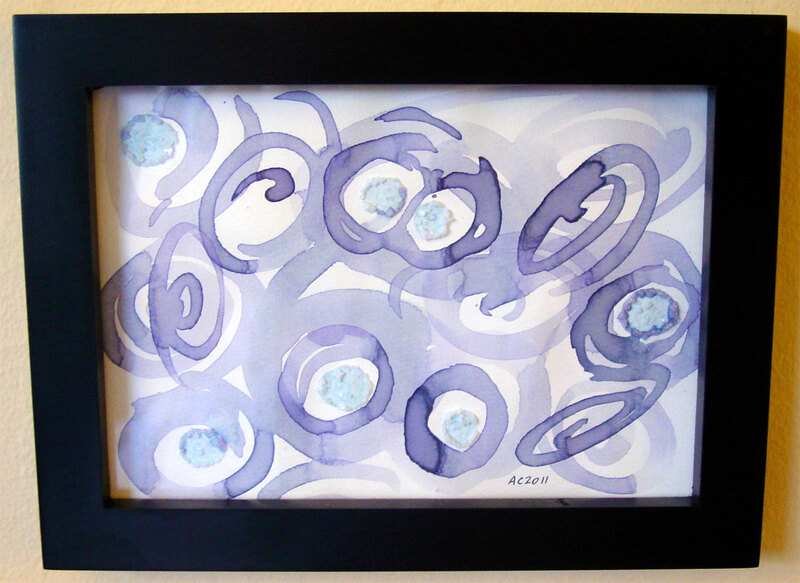 Hibiscus Blue 4, 7″x5″ mixed media on watercolor paper, $444, framed, with free shipping. 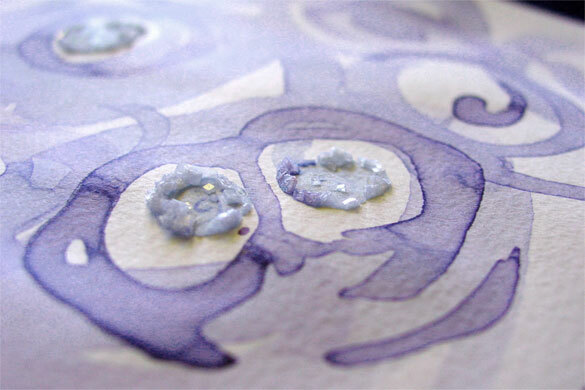 The salt circles are very simple this time, no fancy formations, just a soft hint of blue with an echo of the original spiral at the center of each one. When it’s tucked into its simple black frame, you can really get a sense of the motion of the brush in every stroke and swirl.